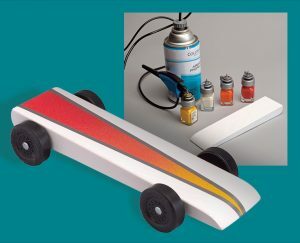 Once you’ve added weights, you can use almost any type of marker, paint, sticker, or tape to decorate your car. 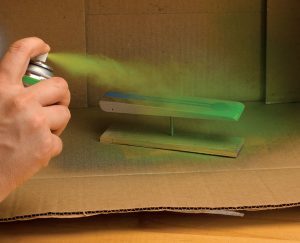 Use your imagination and see what you have around the house before spending money on new decorations. 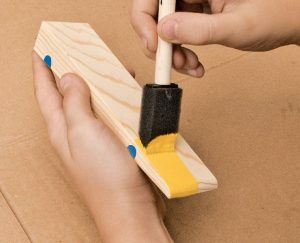 If you haven’t seen Part 1, click HERE for tips on cutting out your car. 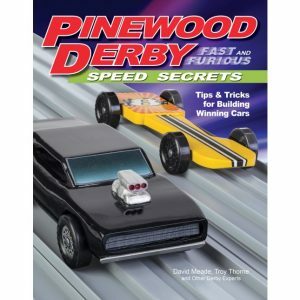 For more expert information on how to precisely position weights, reduce friction, and align the wheels properly, as well as other proven techniques and fast car designs, check out Pinewood Derby: Fast & Furious Speed Secrets by David Meade, Troy Thorne, Jon Deck, and other Derby experts. 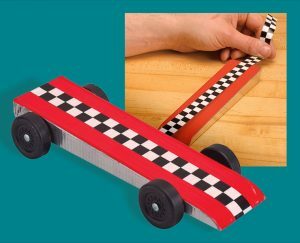 Click below to see a video on how to add weights and make your car look snazzy! 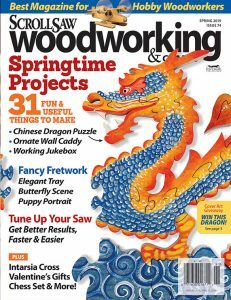 • CLICK HERE to purchase the Spring 2019 issue. 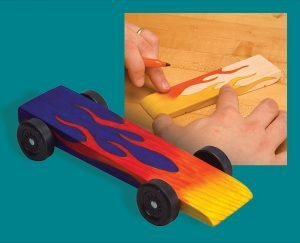 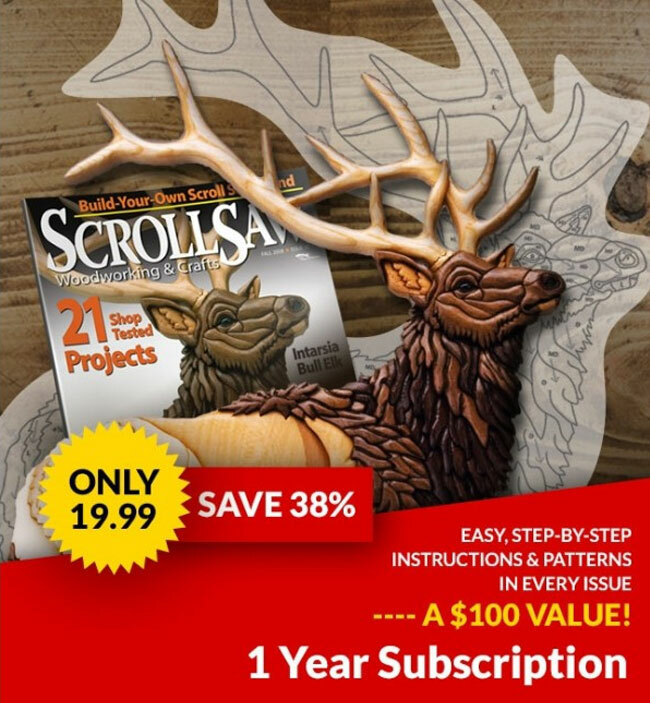 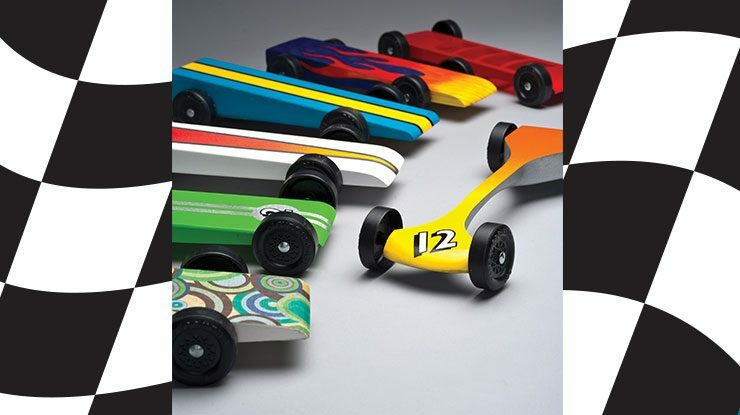 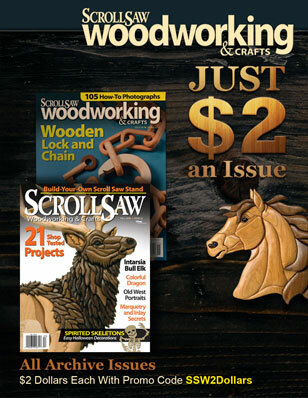 A Funny Thing Happened on the Way to the Pinewood Derby Pinewood Derby Special Issue from WCI Making the Best Pinewood Derby Car Claim Your FREE Downloadable Mini-Issue!